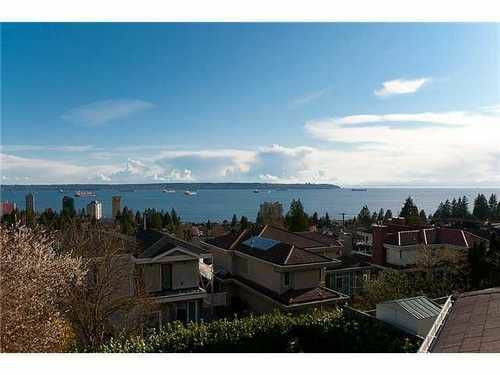 Gorgeous Dundarave property with panoramic ocean and city views! Views of Burrard Inlet, city, Islands & sunsets! South facing property in the sought after 2200 block of Nelson, situated at the crest of the hill. 2,800 sf 4 bdrm home with walk out basement. Easy suite potential. Live in, hold as an investment, or build your dream ocean view home in one of West Vancouver's most sought after locations. First time on the market in 33 years. Minutes to schools (Irwin Park Elementary, Ecole Johnson Elementary, West Van Secondary), Dundarave Village, Rec Centre, Seawall, shops, services, bus & more. Open House Sunday April 15th from 2-4pm.